Oxygen is the key to life. This is because it loves electrons. In the mitochondria of every cell in your body, oxygen (in is atmospheric O2 state) serves as the ultimate electron acceptor and provides the chemical energy that drives the formation of ATP (a form of chemical energy storage that our body uses for all its cellular functions). Oxygen is the key to death. This is because it loves electrons. When so-called reactive oxygen species (small molecules that contain oxygen in an ionized form) are permitted to roam free in cell and the body, they can indiscriminately pull electrons from other molecules (oxidation) and cause undesirable protein damage and premature cell death. There is no escaping this chemical reality. The very substance that giveth life, doth take it away and our longevity teeters on the quantum mechanical balance of electrons whizzing around the nucleus of the oxygen atom. 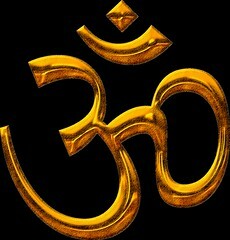 (I’ll think about this and the chemical symbol for oxygen (O), next time I chant “Om” in yoga class). So it is with this humbling knowledge that many search for ways to optimize this balance (several populations have already figured out how to routinely live to 100+ years!) or at least improve the quality of our naturally limited life-span. Light exercise, vegetables, friends and not too much alcohol. Consider the recent paper, by Srivastava et al., “Association of SOD2, a Mitochondrial Antioxidant Enzyme, with Gray Matter Volume Shrinkage in Alcoholics” [doi: 10.1038/npp.2009.217]. The authors report that shrinkage of the neocortex (gray matter) of the brain is associated chronic high levels of alcohol consumption. That’s right, too much alcohol shrinks your brain. Yikes! How does alcohol exert its effect on brain shrinkage? Well, the authors measured many aspects of liver function (various enzyme levels), but these did not correlate with gray matter shrinkage. Rather, the authors traced the effect to an enzyme that normally keeps harmful reactive oxygen species at bay – the so-called superoxide dismutase (SOD) enzyme. We all have this enzyme, but in some of us, those who carry the rs4880 “G” allele of our SOD2 gene produce an enzyme that has an alanine at position 16 (Ala16) and is less active than the rs4880 “A” allele which encodes a more active enzyme with a Valine at position 16 (Val16). The authors report that the rs10370 “TT”, rs4880 “GG” diplo-genotype (diplotype) was associated with more gray matter shrinkage in 76 individuals who report chronic high levels of alcohol consumption. Here, the less active form of SOD2 is seemingly less able to metabolize all the harmful superoxide radicals that are generated during chronic exposure to alcohol. Apparently their neurons are in retreat.